We live in a great time to be a gamer. The quality and quantity of games available is at an all-time high. We can even hop on our systems and play against people in our living rooms or halfway around the world. This holds even more true for retro gamers. It is getting easier to gain access to older games, whether through the internet, local stores that focus on retro gaming or services like Nintendo’s Virtual Console. Older PC games are making a comeback as well, with Blizzard releasing StarCraft Broodwar for free and services like Good Old Games (gog.com) optimizing the settings for programs like DOSbox so gamers don’t have to fight with it. There is one experience, however, that will probably never be the same as it was back in the hey days of the 80s and early 90s: the local arcade. You saved up your allowance all week, possibly even doing extra chores to get more money. Perhaps you had a rough week at work and you needed something to blow off steam. Maybe one of your friends was having a birthday party and you could not wait. No matter what lead up to it, there was nothing like walking into the arcade. The sounds of all the games. The players gathering around, watching, cheering, and claiming next with the customary quarter placed on the cabinet. It’s possible there was some rock music playing in the background and in some cases there was a strong smell of cigarette smoke. In the end it really did not matter, because you were drawn to the games. Most arcades would have signs designating what games were new, and you could always guarantee there would be multiple players gathered around the latest and greatest. If you frequented the same arcades, you may even get to recognize some of the better players at certain games and be drawn to them whenever you saw them playing. 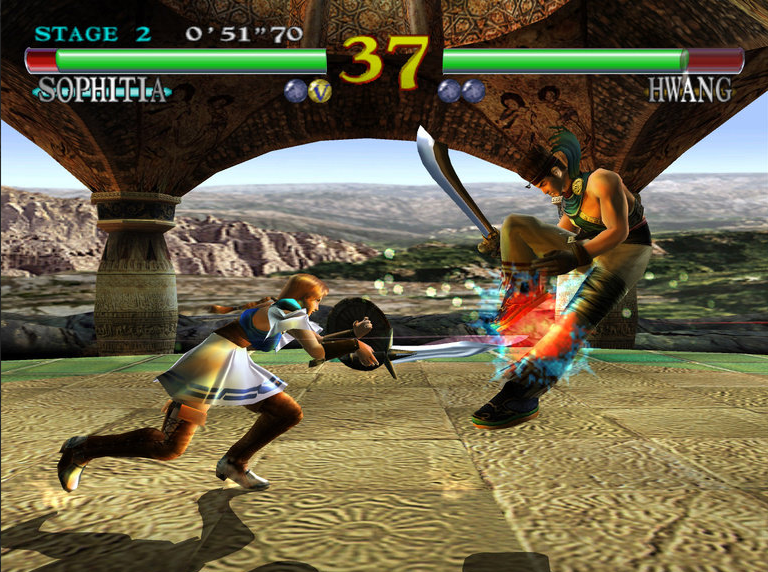 Maybe you had a few with whom you had a special rapport, teaming up together to help battle the bad guys or squaring off against each other in the latest fighting game. Arcades were everywhere in the 80s and 90s. Even though there was a time period in the late 80s where they were not doing as well, they never really went away. There were local arcades in most neighborhoods, even smaller size towns, and just about every pizza parlor, bowling alley, roller rink, and most local conveniences store had at least one arcade machine. So why do we not see the arcades today? Several reasons, but probably the biggest is the fact consoles can now provide “arcade perfect” experiences at home. Add to that the ability to play with your friends on the couch or the other side of the world through online play, and the appeal of going to a specific place to pay money to play a single round of a game became just about non-existent. Sure, there are still a few of the large arcades out there, but most of them use other attractions like food or mini golf to draw you in. 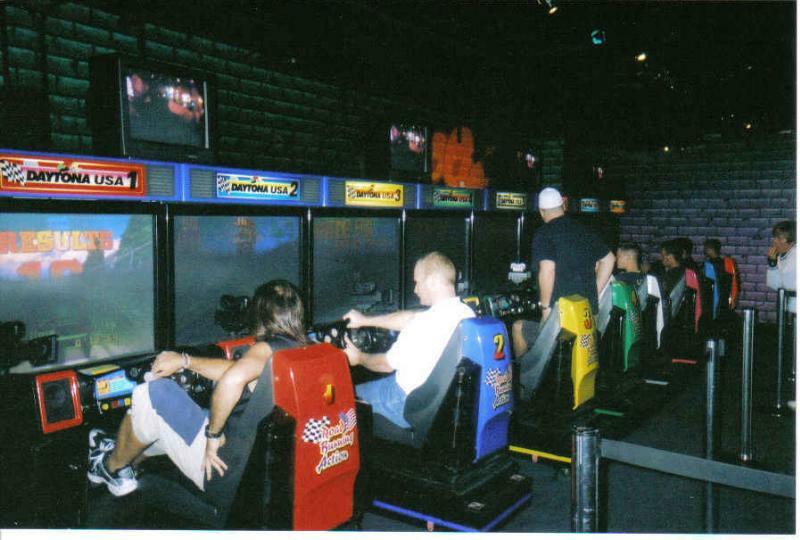 Additionally those remaining arcades usually focus on the ticket-earning games for prizes and not what most of us consider to be true video games. When it comes right down to it, the days of the arcade are basically dead. It’s too bad, really. I believe there are a lot of things playing in the arcades taught me that the current crop of gamers are having to learn in other ways today. One of the biggest complaints many people make about playing online nowadays is the way people treat each other. Whether it’s the racist remarks, immature players on the mic, or music blaring in the background, gamers often cannot stand playing against random people online. While the number of gamers actually engaging in this behavior may not be a high percentage, it really bothers those of us who grew up in the arcades. Playing Nicely with Others: In the arcades, your opponent was standing right in front of you, so you did not have the luxury of online anonymity. There could be very severe consequences if you acted inappropriately toward said opponent, including the possibility of getting kicked out of your local arcade or getting into an actual fight. Even without the fear of either of those responses, people just tended to be nicer to each other when they were standing face to face than as a disembodied voice online. Helping Newcomers: Since you were paying per game in the arcade, you were much more likely to help out newbies to the game, especially when it came to co-op experiences. After all, your enjoyment of the game depended directly on how well the other player(s) with you were doingl. Sure, you could just be silent and not show the new player the ropes, but if that player runs out of coins or gets frustrated and quits, that could severely affect your enjoyment of the game. Good Sportsmanship: Similar to “Playing Nicely with Others,” you had to learn to be a good sport. This was especially true of fighting games. 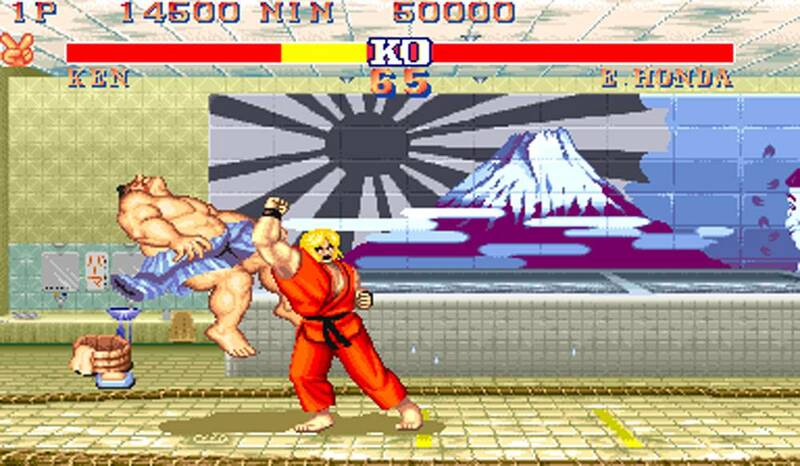 Many arcades would have their own house rules when it came to fighting games, things like “No Throws” or “No Turtling” rules. Failure to play by these rules or lose gracefully could get you banned from the venue or, if the arcade did not step in, at least make it so no one else wanted to play with you. Trust me, if you were a poor sport at a particular arcade often enough, word would get around, and you could soon find yourself alone despite being surrounded by people. Patience: Remember queuing up in line at the arcade? The quarter on the cabinet was the universal symbol for “I have next” and is often referred to as “quartering up.” Some cabinets even included a built in quarter holder for that exact purpose. If you wanted to play the number one game in the arcade, chances are you would have to wait. On top of that, there was the honor system when it came to someone trying to beat a fighting game. I remember clearly asking people playing the latest Tekken if they were trying to beat it. If they said yes then I would insert my quarter but not hit start until they were about to die, thus giving them a chance to try again if they could beat me. Celebrating Victory: This one may seem a little odd as many people who play online or stream games can share their gaming victories with others. Still, there was nothing quite like being among the first to beat the newest game in the arcade. Crowds would form around you, hanging onto every move you made, cheering you on, and sometimes even helping you spot things you did not see. Then it happened: You beat the last boss, and the crowd would go crazy as you entered your name on the leaderboard. If you were playing a co-op game, you and your teammates would erupt into cheers, and you would be heralded as heroes, even if only for a short time. I am embellishing a bit, but for anyone who got to experience this, you know that’s how it felt. For me, nothing in the current gaming space quite equals beating a game or even seeing anyone else beat it in the local arcade. Randoms Become Partners: This can still happen in the online community, but it was far more commonplace in the arcades if you frequented the same ones. Over time you would meet others who shared the same tastes in games you did. When you saw them in the arcade, all it would take was a quick look at each other and then at one of your favorite games to get things started. You may never even learn the person’s name, the most creative inventing nicknames instead, but you still considered them a comrade in arms. Forced Diversity in Gameplay: Since the stable of games was constantly changing and games could develop long queues, you were often forced to try new games just to pass the time. Many times, a game that you would not have played if your favorite was available became a new favorite, because you were forced to play it instead. Other times, your favorite game was removed from the arcade, and you found yourself having to find something else to occupy your time, discovering new and exciting games along the way. Truly Immersive Experiences: Modern games can be very immersive thanks to incredible graphics and sound; however, here is something to be said for playing a game on a cabinet built for it. There’s nothing quite like peering through the binocular style window while playing Battlezone, climbing onto the motorcycle for Hang On, or holstering your gun for a quick draw event in Mad Dog Mcree. 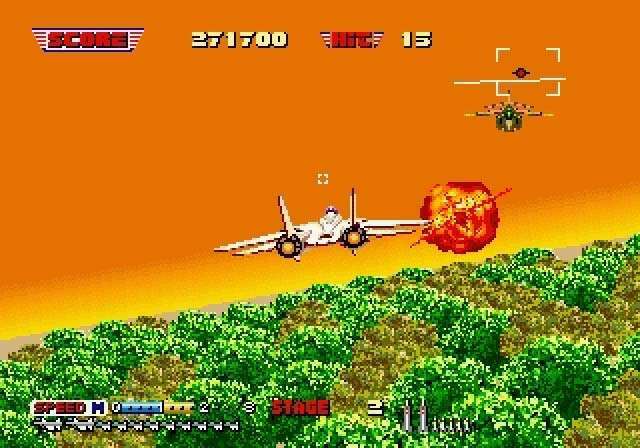 The same can be said for climbing into the cockpit of a full motion version of Afterburner or looking through the rifle’s scope in Silent Scope. Racing games were unmatched with linked racers like in Hydro Thunder or, if you were really lucky, a full complement of 8 linked racers in a game like Daytona USA. These are experiences no home console can truly duplicate, no matter how good a port of an arcade game is. Virtual Reality may be able to replicate some of them, but even it has limitations. These things and so much more made the local arcades special. There was a reason so many of us would save up our money for the chance to go to the local arcade with our friends or spend more time playing the games at roller rinks than actually skating. I would be almost willing to bet that many of the people who cannot stand playing with randoms now are the same ones who learned to love playing with them back in the day. At that time we had to learn to get along because, for many of us, the arcades were all the gaming we had at that point in our lives. Those of us who grew up with the local arcades know they are not making a full-fledged comeback. As previously stated, there are still some arcades going strong. There is a rather nice one just up the street from my house here in Phoenix. There are also many new arcade bars opening in town, where you go to get a drink and maybe some food, and you can play as many games as you want. Still, we will never again see the days where there are arcades in just about every neighborhood, each with its own varied collection of games and gamers. So what can those of us who grew up in the arcades and miss those experiences do? We can keep the spirit of the arcades alive. We can apply what we learned from them, things like sportsmanship and helping out noobs, and do our best to make gaming with others online enjoyable. If you don’t like playing with randoms, there are a lot of communities out there for gaming that would love to have you join them, and isn’t that sense of community one of the things we all miss the most about the arcades? If you are a parent, aunt, uncle, or just have various opportunities to be an influence on the lives of those too young to have experienced the arcades, you can go one step further. You can teach the younger generation of gamers how a gamer should act. You can impart what you learned growing up in the arcades to them, helping improve the online community even if only in a small way. If there is a flourishing arcade in your area, consider taking those who do not know what it was like growing up with them to one and help them experience the awe and wonder we did growing up. Show them what it was like for us, and even though the experience may not be quite the same, hopefully it will get them to look at gaming in a whole new light. As amazing as it is to be a gamer now, I have to admit I get a little nostalgic when I think back about the arcades of my youth. I will never forget how it felt playing in my local arcade, and I imagine many of you feel the same way. Great article, thanks for that. Good read.